SPECS: 8.5°, 9.5°, 10.5° and 12° with Mitsubishi Tensei CK Red, Blue or White shafts. Available in 440cc and 460cc models. RECOMMENDATION: Can be played by anyone, but targets mid- and low-handicap players who want cutting-edge technology with maximum adjustability. KEY TECHNOLOGIES: Twist Face for straighter shots on low-heel and high-toe hits; Hammerhead Slot in the sole for maximum ball speed across a larger area of the face; Y-Track with two 11g weights for CG adjustment. 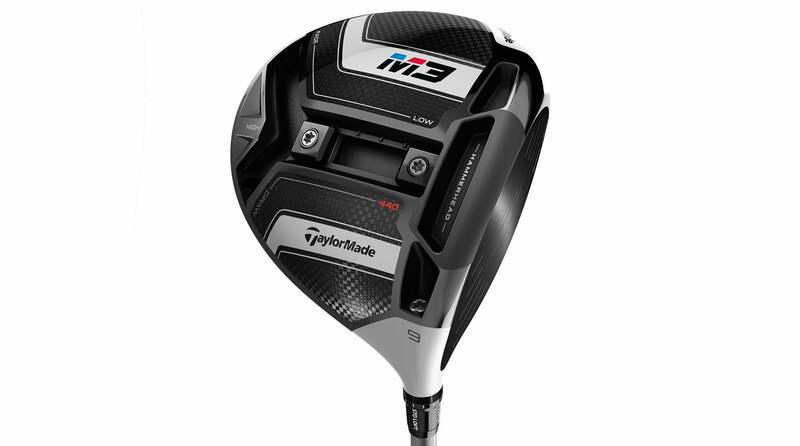 TaylorMade engineers seem to have finally outdone themselves with the new M3, completely reimagining the clubface to add forgiveness on low-heel and high-toe hits with its breakthrough Twist Face technology. Impressive stuff, as is the new Hammerhead Slot in the sole that produces a larger high-COR around the sweet spot. What really has us pumped, however, is the new Y-Track. According to our clubfitting experts, it's a game-changer. The track allows for precise placement of moveable weight both front to back and side to side, resulting in an ultra-precise fit that dials in your launch angle and spin rate (keys for optimal distance) down to the smallest degree and RPM in no time flat. "Distance Monster. Explosive off the face with maximum adjustability. Daring and innovative Twist Face design indeed helps off-center hits to find the fairway more often."